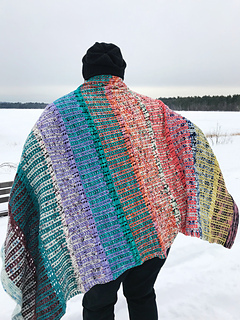 This Blanket KAL accompanies the year long collection of colors created by Madelinetosh exclusively for Jimmy Beans Wool! Inspired by the gorgeous variations in natural, semi-precious stones, this collection is all about beautiful, hand-dyed color in captivating combinations! 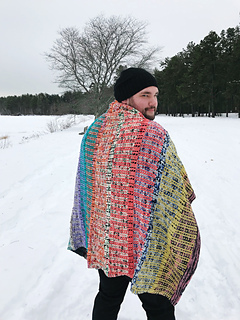 The Semi-Precious Tosh Blanket is designed to be worked slowly, as the colors are released each month, so that by the end of the year you’ll have a lovely, afghan-sized piece showcasing all of the Semi-Precious Tosh colors! Are you more of a crocheter than a knitter? Check out Monika’s Semi-Precious Throw instead! The blanket pattern is free to JBW subscribers and a link to both the crochet and knit versions will be sent out with the first shipment in January! 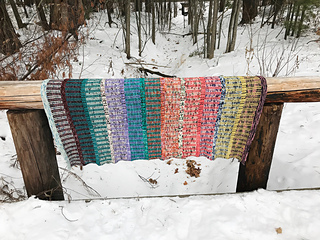 If you have a giant stash of worsted weight yarn that your trying to knit through, or you want to join in using different yarn, you can purchase the pattern here! The photos shown are a swatch, to give an idea of what the stitch patterns look like. Keep in mind that these are not the limited edition Tosh colors, and of course, the final project will be much larger. This pattern will be updated monthly with photos of the latest Semi-Precious Tosh color!